The percentage of US consumers shopping for personal auto insurance has reached a four-year low, according to the latest TransUnion Auto Insurance Shopping Index. Shopping activity dropped to just 20% in 2017, compared to 21.5% in 2016. It’s the lowest percentage of personal auto insurance shopping since 2013, when the figure was 20.4%. The TransUnion Auto Insurance Shopping Index includes more than 500 million auto insurance shopping transactions since 2012 from nearly every state in the United States. 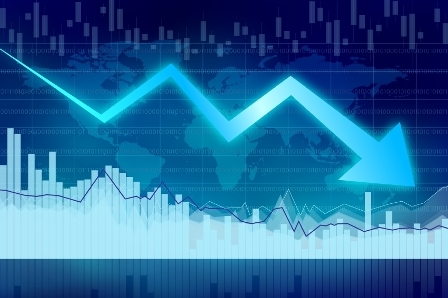 Global credit reporting agency and risk information provider, TransUnion, attributes the decline in personal auto insurance shopping to reduced advertising spend by many insurers, in order to offset inflated loss costs. “We believe that rising accident frequency in recent years, due in part to distracted driving, has led carriers to reduce their advertising spend as they adjust rates to account for their increases in loss,” explained David Drotos, vice president of insurance solutions at TransUnion. To the average reader, the higher pricing / lower shopping trend may seem a tad counterintuitive. When insurance prices rise, it would make sense for shoppers to start looking elsewhere to see if they can get a better deal. “The macro answer is that marketing works,” said Mark McElroy, executive vice president of TransUnion’s insurance business unit. “A vast majority of people are driven to shop by marketing spend. Insurance marketing is effective, especially when it’s targeted, so when the firehose is turned down and less marketing activity is generated, the percentage of shoppers also declines. The firm uses data solutions to predict when someone is likely to be shopping for insurance and what their risk profile might look like – two valuable indicators from an insurance marketing standpoint. As well as targeted marketing, there are other things insurers and brokers can do to attract and retain policyholders without taking on riskier profiles. Multi-line carriers are looking for more cross-sell opportunities during the personal auto shopping process, and as the auto industry continues to innovate and evolve, there will also be more opportunities to offer safety incentives and discounts.